…and then watches Cutcliffe, Renfree, Wright, and Duke Football defeat his alma mater in West Point. Congrats to Coaches K and Cut! 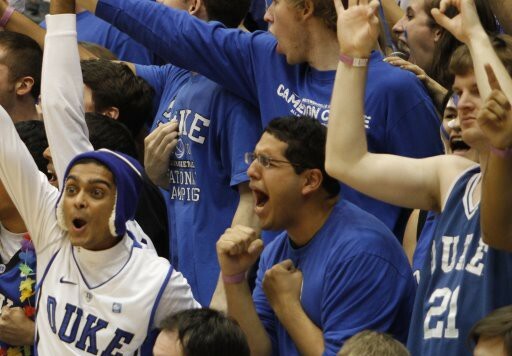 His favorite part about Duke Basketball? The fans. We can’t wait to see the new #20 in action. No surprises there. Kyle’s legend grows each time he steps on the court. We’re sitting pretty with one of the best PG’s in the nation. He’ll be in Durham the weekend of September 26th for Homecoming, all Crazies unite! If you think it’s just about great seats in Cameron, you’re dead wrong. Check back later this week for extensive coverage of one of the craziest traditions at Duke that took place this past weekend – Graduate Student Campout!